The search for #missing person, Zacharia Vasicek, concluded at approximately 11:00 a.m. today when search teams found his body near the #Kingston Peak Trailhead about 9 miles northwest of the city of Black Hawk. According to the Coroner, Mr. Vasicek died from an apparent self inflicted gun shot wound. 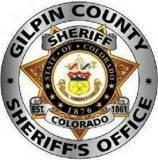 The Gilpin County Sheriff’s Office is conducting a search for 27 year old Zacharia Vasicek of Eaton, CO. Zacharia was reported missing on Tuesday, Feb. 10, 2015 and his last known possible destination was Gilpin County. The sheriff’s office is asking for the public’s help. If you have any information regarding Mr. Vasicek, please contact Investigator Jeff Collins at 303-582-1060.